The District is bounded on the north by Selsella and Rongram Community & Rural Development Block; on the south by Sherpur and Jamalpur District of Bangladesh and Dalu and Gambegre Community & Rural Development Blocks, on the east by Dalu and Gambegre Community & Rural Development Blocks and on the west by Dhubri and Kurigram District of Assam and Bangladesh respectively. 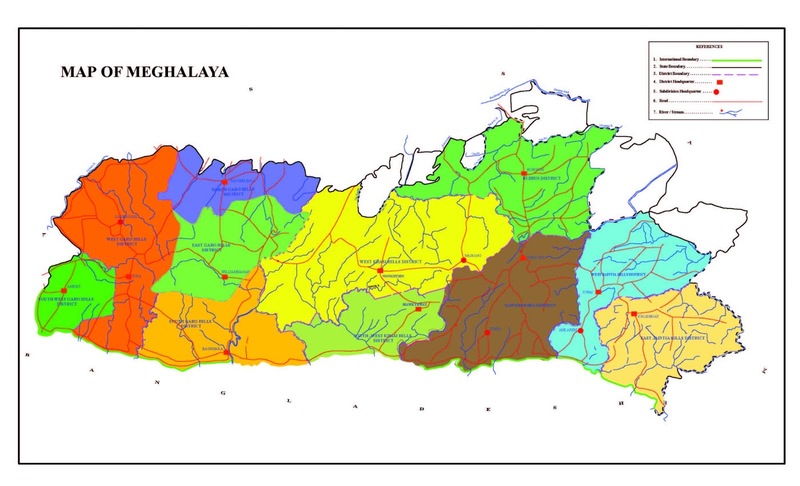 As a natural boundary the District has the river Kalu (also	known as Ganol) on the north and providing a long demarcation line to Dhubri district and Selsella while the river Jinjiram flows along the Western boundary of the District. Physically the area of the District extends upto the 11 kilometers short of Tura on the east; Mankachar on the north. The District has approximately 35 kilometers of international boundary with Bangladesh on the south and western side. Nearly one third of the total number of villages of the sub-division is declared as border villages by the Border Area Development Department. West Boundary: Dhubri and Kurigram district of Assam and Bangladesh respectively. East Boundary: Dalu and Gambegre Development Blocks. North Boundary: Selsella and Rongram Development Blocks. 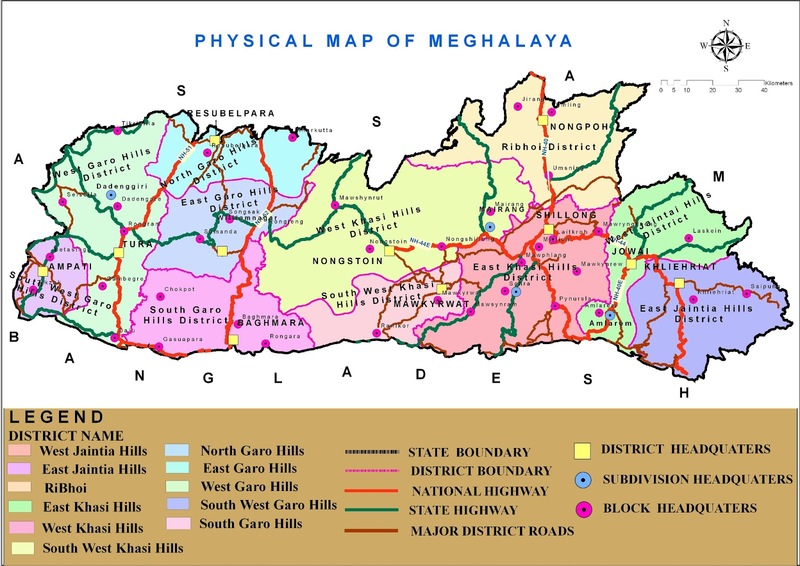 South Boundary: Sherpur and Jamalpur District of Bangladesh and Dalu & Gambegre Development Block (Meghalaya, India). Nearly one third of the total area is said to be covered with hills. While the rest is, literally a plain region dotted with small hillocks here and there. A large and continuous strip of plain land stretches from Garobadha towards Mankachar extending upto Mahendraganj and Gopinath Killa along the border of Dhubri District of Assam and Bangladesh. The hill regions, on the other hand, begin from 11 kilometer short of Tura on the east and cover Damalgiri, Okkapara, Mellim and Salmanpara areas on the south. These hills and hills ranges occur in the east and southern parts of the District and gradually slope down towards north and west and ultimately converge with the bigger plain region.